Verizon Communications Inc. (NYSE:VZ) is aiming big with its new ‘’green energy’’ option for power instead of killing time on local utility firms. Verizon Communications Inc. (NYSE:VZ) aims to spend an extra $40 million in order to expand the energy program that started last year. The company has spent over $140 million so far and the latest investment is for solar installations of 10.2 megawatts in Massachusetts, Maryland, California, New York and New Jersey; where the installations will be made in a total of eight facilities. This amount is twice as much as what the company installed the previous year. The Solar Energy Industries Association (SEIA) states that Verizon Communications Inc. (NYSE:VZ) leads the way among the US companies with the most solar power on-site. It is expected that the solar system will give enough green energy for over 8,500 houses per annum. Overall, it green-energy generation is predicted to offset carbon dioxide amounting to about 22,000 metric tons each year. 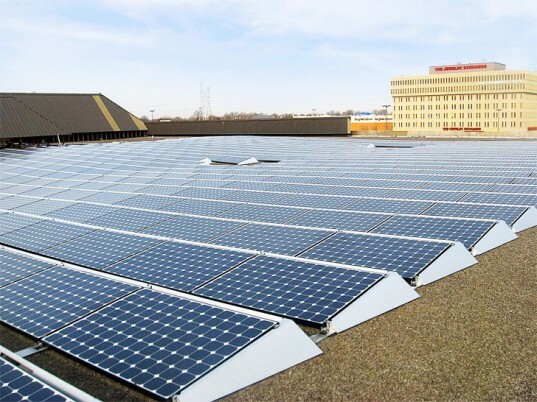 James Gowen, the chief sustainability officer at Verizon Communications Inc. (NYSE:VZ) reported that by doubling the quantity of solar energy, the company is moving towards its goal to reduce carbon intensity by 50% in 2020. Along with installations of fuel cells and solar polar at Verizon Communications Inc. (NYSE:VZ) Data Centers, enhanced cooling efficiency and reduced energy consumption have also been given a spot. The strategies of energy-efficiency adopted by Verizon Communications Inc. (NYSE:VZ) have played a vital role in meeting the company’s goals of reduced carbon intensity. Carbon intensity is basically the emission of carbon that is produced for every tera byte of data that flows through the company’s domestic and global wireless networks. The CEO and president of SEIA, Rhone Resch, said that when it comes to the numer of in-operation solar installations Verizon Communications Inc. (NYSE:VZ) stands among the top 20 companies in the US. 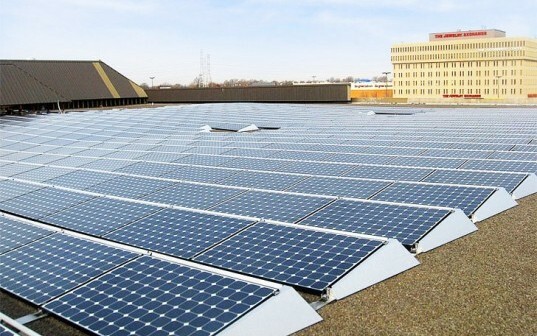 Resch further sais that the company is among top 10 companies of the US that depend on solar producing capacity. Verizon Communications Inc. (NYSE:VZ) deployed around 14.2 MW clean power on-site that is divided between both its fuel cells and solar installations. It’s wireless network is supported by 26 cellular solar assisted sites across the US Western States. The new installations will be handled by SunPower Corporation (NASDAQ:SPWR) and will include a combination of parking structure deployments, ground-mounted systems and photovoltaic panels for rooftops. Another company that has won appreciation for having a lot of installations on-site compared to other U.S companies is the well known U.S retailer Wal-Mart (NYSE:WMT). At the start of this year the giant retailer announced that it aims to double its solar projects at its U.S outlets; back in May the company had 240 projects. It also intends to get its energy by using renewable sources. Wal-Mart (NYSE:WMT) is one of the blue-chip companies that stress on utilities to simplify the renewable energy purchase so that it can be used more efficiently in the future.